TEHRAN, Iran -- Iran's supreme leader said Wednesday that any negotiations with the U.S. would “bring nothing but material and spiritual harm” in remarks before an American-led meeting on the Mideast in Warsaw. 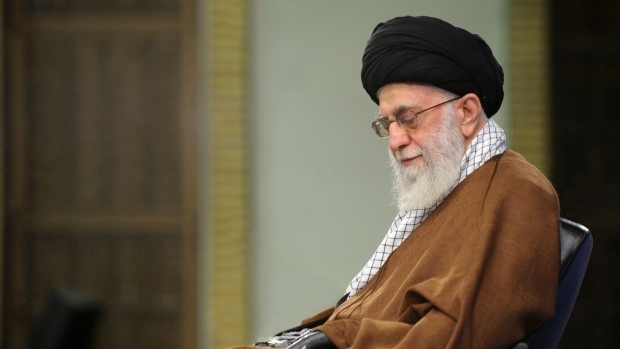 Khamenei said the U.S. must deal with Iran's influence in the Middle East and “preventing the transference of sophisticated Iranian weapons to resistance forces,” a reference to Lebanon's Iran-backed Hezbollah and other anti-Israel armed groups. Iranian Foreign Minister Mohammad Javad Zarif predicted the Warsaw summit would not be productive for the U.S. “I believe it's dead on arrival or dead before arrival,” he said.